The Ultimate Guide on How To Do The Splits. The best middle splits stretches (with videos), stretching routine, 30 day splits challenge and more! There’s absolutely no doubt about it: being able to do the splits is awesome. Whether you want to get to your splits for dance, ballet, gymnastics, cheerleading or martial arts… Or you just want to show off at parties like this or this (hey, no judgement) we’ve got you covered. We’re going to show you how to do the splits step by step, including: good stretches for the splits (which you can do daily), how to do the splits if you’re a beginner and some of the ways which can help you do the splits fast and easily… and any other tips we can think of. You’ll also find a splits stretching routine at the end of this post – yes, you’re welcome. Since most people are interested in doing the middle splits (also known as straddle splits, side splits, box splits or Chinese splits) that’s what we’re going to be covering. If you’re interested in the right splits (a.k.a front splits) we’re going to cover those in a later tutorial, the same goes for Hamunasana (i.e. Yoga splits) which definitely deserves its own article because of the rich mythology around it. Remember, any flexibility training is a worthwhile goal, so working towards the splits is worth pursuing. Even if you don’t quite get there, the increased flexibility you have from the stretching you do will certainly be an enormous benefit to you. Check with your doctor before attempting any of the stretches, exercises, or following any of the advice in this article. By reading this article, you agree that any advice you follow and any stretches you do, are done at your own risk. We’re not kidding: doing the splits, and the associated stretches, can be hazardous to your health. Depending on a number of factors, it’s possible to tear tendons, muscles and cartilage. In other words: be careful out there! Since we’re not doctors, we have no idea what else could happen, but it’s probably bad. Where to Next? Advanced Routines & Tricks! Always spend 10 – 15 minutes performing light activity to warm up your muscles before you start stretching. After your workout, during your cool down, is the ideal time to train to do the splits because your muscles will be warm and pliable. If you haven’t just completed a workout you can perform 15 minutes of jogging, jumping jacks, squats and lunges to get the blood flowing and loosen those muscles up. The best warm-ups will combine a cardiovascular and dynamic movements, so following jogging with jumping jacks and lunges (for example) is a great way to start. Remember, the main idea behind a good warm-up is that it should mirror the activity you’re going to be doing as closely as possible. We’ll cover a specific split stretch warm up further in this article. You’ll make a lot more progress by taking things slowly and being more consistent. If you push yourself too fast, too soon you risk injuring yourself, which will set you back a long time. It’s a marathon not a race. Some people are able to make faster progress with their splits because they are inherently more flexible (e.g. hypermobile individuals), so it’s important to go at a speed that is right for you and your body. We will cover methods which people have used to be able to do the splits faster, but injury prevention should always come first even if it means taking longer. Never throw yourself into a stretch suddenly. Part of going slow means that you ease into and come out of your stretches slowly and gently (especially if you have been in the same position for a few minutes). No pain, no gain? Wrong. Stretching is about balance. You should aim for an intense, steady pull with your stretches, a feeling of discomfort, but there shouldn’t really be any pain. If you feel pain, or the tightness isn’t easing, it means that you’re holding the stretch with too much tension; you need to relax the muscle and repeat the stretch with less tension. If you ever feel any sharp pain, stop immediately. Further, the following day you should not feel pain from stretching. If you do, then you pushed yourself too hard and need to stop stretching until the pain has subsided completely – how ever long that takes. Ballistic stretching (i.e. bouncing your stretches) is generally regarded as unsafe because they force your limbs into an extended range of motion before your muscles are ready, making injury much more likely. Breathing properly is critical to safe and effective stretching, unfortunately many people hold their breath when they stretch, causing their muscles to tense up. We don’t want tense, we want loosey-goosey. By focusing on your breathing, taking deep (but not exaggerated breaths) you bring your awareness to your body, which is critical for safe and effective stretching. More than that, there is a physiological response of relaxation on the out-breath, especially with deep breathing. You want to hold the stretch on the inhale, and relax and lean in to the stretch on the exhale because this is when your body naturally relaxes. Sticking to the guidelines above should help you to reduce your chances of injury. Remember, age also plays a (usually significant) role flexibility. Generally the older you are the less flexible and as a result, the slower you need to take things and the longer you should spend warming up. There are actually two main forms of the splits: the middle splits and the front splits. This article is focused on showing you how to do the middle splits. When people talk about ‘the splits’ you can bet they’re talking about the middle splits, i.e. both legs stretched out to the sides. Unfortunately, these are generally the most challenging splits to perform because they require great flexibility on both legs; however, this is also why they are often viewed as the epitome of flexibility. The middle splits require excellent flexibility in the hip flexors, groin, hamstrings and quadriceps. Making progress with the middle splits especially requires increasing your flexibility with your hip flexors and hamstrings. The front splits are typically much easier to do than the middle splits (for most people) and they come in two variations: the left leg front split and the right leg front split. Following the names, the variations differ depending on which leg you have facing forward. Like the middle splits, these splits require excellent flexibility in the hip flexors, groin, hamstrings and quadriceps; most people will find that they are more flexible with one of their legs than the other. Practicing both variations of the front split (and increasing your flexibility with those) can make it much easier to do the middle splits. When you do the front splits there is the option of having your hips ‘turned out’ or having them ‘squared’. Ballerinas and dancers prefer the turned out split because it gives a nicer aesthetic – i.e. better looking lines, while gymnasts generally have it drilled into them by their coaches to keep their splits squared (to prevent the body from moving laterally when performing harder movements). As far as training for the splits, keeping the hips squared will give a much more intense stretch for the hamstrings and hip flexors – that’s what we’ll be referring to. Hanumanasana, or Monkey Pose, is essentially a front split, but also has a few different variations which make it more difficult than the normal front splits. We stated earlier that it’s critical to warm up before you start training to do the splits. You could spend 10 – 15 minutes jogging, doing jumping jacks and lunges in preparation and that should be fine, but we also wanted to put together a warm up which was a little more tailored to doing the splits. If you recall, a good warm up contains both cardiovascular and range of motion movements and closely mimics the activity, the splits in this case, that you’re going to be doing. Contrary to popular belief achieving the splits is not just about stretching (i.e. lengthening the muscles), but it has a lot to do with strengthening the muscles too. The reason for this is that weak muscles are more tense when they are held in the splits stretch position. In other words, you have to build up a good degree of strength in the associated muscles in order for you to be able to relax further into in the stretch. Naturally, you’ll strengthen your muscles simply by practicing the splits frequently, but you can also combine lunges and squats with your stretch routine to get to your middle splits or front splits faster. The best time to train for your middle splits is after you’ve completed a warm up and your workout. Avoid static stretching before doing a workout as numerous studies have now show that it degrades performance and can result in a greater risk of injury. To sum it up: the best time to train for your splits is after your cool down. Once your muscles are nicely warmed up, you can start stretching, but rather than jumping straight in with the split stretch itself, it makes much more sense to build up to it gradually with a series of stretches which will help you do the splits. That’s quite a list of areas which need to be stretched, but by taking the time to stretch out and increase your flexibility in these areas you will make much faster progress with your splits. Primarily though, for the middle splits you will be most interested in stretching your hip flexors, adductors and hamstrings, so you can focus on those when you are pressed for time. You should aim to hold each stretch from between 20 – 60 seconds (or more). A great way to do this is to grab an interval timer and use that time your stretches. Repeat each stretch 2 – 6 times. It’s really up to you how long you want to go for; we’d aim for a 20 – 30 minute session. Some people find that doing two 20 minute sessions works well, one in the morning and one in the evening. The more frequently you stretch, the faster progress you’ll make, but remember that you need to take rest and recovery days too. You really want to spend a good amount of time opening up your hips for the splits. Not only that, but many people are very tight in their hips, so stretching this area is a great way to open up and improve your posture too. We’ve already covered 12 awesome hip flexor stretches before (and it’s definitely worth adding a few of these to you daily stretches) but to keep things short and sweet, we’ll show you a few of our favorites here. One of the most critical things you can do to increase your flexibility is to stretch frequently. It’s simple: the more frequently you stretch, taking sensible rest and recovery days, the more flexible you’ll get and the quicker you’ll get to your middle splits. And the best way to stay consistent is with a routine! While you don’t require any special gear for this routine, we find the following pieces make it a lot easier (and if you’ve seen our article on sticking to good habits, you’re much more likely to stick to a routine if you make it as easy as possible). Any way to keep track of time will do, but you want it to be as hands off as possible (meaning you can set and forget it). We use the Gymboss because it’s great for HIIT workouts and, as it turns out, it’s great for this stretching routine too. If you love your knees (and other useful parts of your body), and we know you do, then you’re going to want some padding for these stretches. Ideally you’ll use a yoga mat, but you could also use a garden pad or some other form of padding (e.g. high-density foam). Where would any routine be without its own epic playlist? We’re not sure, but we don’t want to live in that world. Luckily, in this world, we’ve got an audible smorgasbord of music you can choose from. Okay, enough jibber jabber; here’s the routine! Get the printable version of this routine. The quick answer is: every day unless you’re sore from the day before, in which case take rest days until you’re no longer sore and start again. Some people also recommend doing smaller stretch sessions throughout the day, so for example, 2 – 3 times during the day instead of one long session per day. That’s the short(ish) answer, but there’s also a longer one. Earlier we said that the key to improving flexibility is consistency. While this is true, it doesn’t necessarily mean stretching every day, with the same intensity, using the same stretches. The fact is: everyone has different physiology. What works for you may not work for me, or may not work as well as it did for you. Let’s say you do an intense round of stretching on Monday, should you follow up with the same on Tuesday? Maybe not. A better alternative could be to do a lighter round of stretching the following day, or if you feel soreness, take the day off as a rest day (or as long as it takes for the soreness to subside completely). By the same token, you may not want to do the main middle splits stretches every single day, instead choosing to alternate them with the other groups of stretches. As with your workouts, you want to make sure you include rest and recovery days, switch up what you’re doing and vary the intensity. In other words, you may need to adapt this middle splits routine such that it works best for you. 30 day challenges are a great way to stay motivated. You’ve got them for workouts, but they’re great for helping you to improve your flexibility too. We’ve created a 30 Day Middle Splits Challenge to help you stay motivated on your journey to middle splits awesomeness. The idea behind this challenge is not that you reach the full middle splits in 30 days, but that you make good progress towards it. Always do a 10 – 15 lower body warm-up before you start stretching. Do the core split stretches first before attempting the middle splits. Remember the Golden Rule of stretching: slow, gentle and frequent. You should stop immediately if you ever feel pain. You’re aiming for an intense-pull kind of feeling. If you feel sore the next day, stop the challenge, rest and recover until the pain is gone completely and then you can attempt the challenge again. Get the printable version of this challenge. If you’re looking for the easy way to do the splits, you need to realize that if you’re not already pretty flexible, it’s going to take some time, some commitment and some work to get your middle splits. Of course, we wouldn’t just leave you hanging. The easiest way to train for your splits is to use gravity stretches – i.e. where the force of gravity does most of the work for you. Gravity stretches are awesome because you’re able to really relax, just sort of hang out there, and as you know relaxation and stretching go together like pancakes and syrup. These kind of stretches also allow you to multi-task, read a book, watch your favorite show, while you work on your splits. A few important points: you still need to warm up and follow the earlier points about injury prevention, and especially with these kind of stretches, maintain good body awareness so that you don’t overstretch (i.e. you’re aware if you start to move from an intense-pull to pain). Getting your body flexible enough to do the splits takes time and effort, that much is true, but is there a way to get there faster? First, one of the things you have to remember is that for most people getting to your front splits is going to be far easier and faster than getting to your middle splits. Next, injury prevention should always take precedence to the speed of your progress. Not only is this a sensible approach, but getting an injury will likely postpone your progress towards your middle splits significantly. Further, different people, having different physiologies, including natural flexibility, age, etc. will have different rates of progress, which means comparing your progress to someone else will just get in your way. Compare yourself to where you were yesterday. Look in the mirror, that’s your competition. That said, what are some of the ways to do the splits fast? Do The Splits in a Month? Getting to the full middle splits in a month is a very tough goal and most people are going to need more time to get a true center split. But even if you don’t get exactly where you want to be, with 30 days of splits training you will likely be much, much closer to where you want to be. That’s where your focus needs to be: making progress towards the splits. You never want to rush flexibility (especially with the middle splits) because that’s where potential injuries can happen. So again, to make progress with flexibility you want to remember the Golden Rule of Stretching: slow, gentle and frequently. With this in mind you might decide that you want to train for the splits 3 – 4 times per day, 5 days a week and with 2 days rest. Remember to follow good injury prevention guidelines, and if sore the next day, you need to stop the routine until all pain subsides completely before continuing. Do The Splits in a Week? Unless you’re already very, very flexible, you’re probably not going to be able to do the splits in a week. But that doesn’t mean you can’t make good progress towards them. One of the best ways to make progress is to stretch frequently, in addition, many people find better results by having multiple smaller stretching sessions throughout the day (rather than one big one a day). So if you wanted to make good progress towards your middle splits, you could do 3 – 4 stretching sessions (maybe 20 minutes each) per day, for the whole week. Of course, injury prevention is still at the forefront, so if you’re sore or feel pain the next day you still need to wait until that subsides before you continue with your routine. Do The Splits in One Day? If you think you’re going to be able to do the splits in one day, forget about it; we know of no safe way for someone to do the splits in one day. We’ve covered different time frames, but what about techniques? Are there any special techniques which allow you to make faster progress towards the center splits? There are a few techniques which claim faster results, we’ll cover some of them briefly. PNF stretching or proprioceptive neuromuscular facilitation stretching is an advanced stretching technique which uses shortening and isometric contractions of the muscles in order to increase range of motion. More specifically, most PNF stretches involve a shortening contraction of the opposing muscle followed by an isometric contraction of the target muscle. Studies indicate that PNF stretching is effective at increasing range of motion (i.e. flexibility), often more so than static stretching, and in addition increasing muscular strength and power. While PNF stretching is reportedly very effective in increasing your range of motion, and the stretches are quite easy to implement, but they are not suitable for everyone. There are important safety elements which should be understood fully (and checked with your doctor) before deciding to include PNF stretches into any stretching routine. Foam rolling, a self-myofascial release technique, helps release muscle tightness by focusing on trigger points, knots, which form in the muscles. Using a foam roller helps to break up scar tissue and adhesions within the muscle, while lengthening and smoothing it out. It’s kind of like ironing your muscles to make them nice and smooth. It just hurts a lot more. If you’re interested, there’s a good summary of the science behind foam rolling. From the summary above, foam rolling has been shown in a number of studies to probably help with acute (i.e. immediate) flexibility and possibly help with long-term flexibility. In other words, it’s something you may want to add to your routine if you want to get to your middle splits quicker. A little more on trigger points: we’ve heard excellent things about Trigger Point Therapy and especially the Trigger Point Therapy Workbook for helping improve flexibility. Dance Physiotherapist, Lisa Howell, introduced us to the idea of neural mobility for improving flexibility. Neural mobility simply refers to the ability of nerve tissue to slide in the body as you move. If neural tissue is impeded it can result in nerve pain and a restricted range of motion. In other words, by releasing neural tension, through special mobilizations, movements and massages, you can gain greater flexibility. 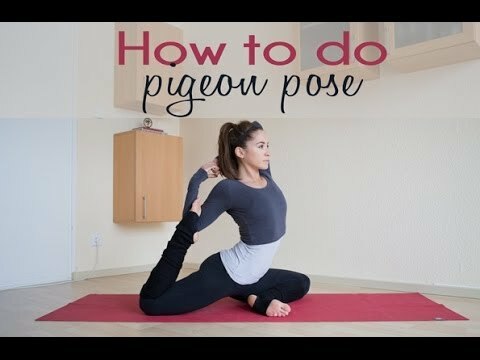 Apart from everything that’s already been covered, are there any tips which can make it easier, quicker, or more comfortable for you to do the center splits? Proper nutrition absolutely has an impact on your flexibility. It makes sense: you need to eat right when you work out to get the most benefits, and it’s the same when you’re training for flexibility. Luckily, most people will be able to get all the nutrients they need by following a good diet, eating clean, eating lots of fruits and vegetables and drinking enough water. Good hydration equals good lubrication. This makes joints and muscles happy! If you’re not already adequately hydrated, drinking more water is one of the simplest ways to quickly increase your flexibility. Not the caffeine! Have you no heart?! Well, we all know that caffeine inhibits relaxation – that’s kind of why we drink it, right? And if you’ve ever drunk too much coffee, you’ll know how tense everything gets! Further, studies (such as this one) indicate that caffeine leads to more inflammation and oxidative stress in the body. Not what you want when you’re trying to get more flexible. So try to quit, or at least cut way down. The more you’re able to reduce inflammation in your body, the better it will be for your flexibility training. There are a number of foods and additives which promote inflammation for many people, so for example, cutting down on sugar, trans-fats, hydrogenated oils, gluten could help decrease inflammation. There are a number of supplements which are reportedly beneficial for flexibility. Probably the most beneficial supplement for flexibility is a high quality fish oil supplement. There are many, many studies which have found that fish oil supplements reduce inflammation and improve flexibility (amongst other benefits). Other supplements you could look into, include: glucosamine sulfate, chondroitin, methylsulfonylmethane (MSM) and flax seed oil. Stretch While You Watch T.V. Instead of sitting there like a couch potato, use your time in front of the tube to improve you flexibility. Let’s face it: stretching can be a little boring sometimes, having a distraction can take your mind off the discomfort and allow you to relax and sink deeper into your stretches. You can also read when doing the wall straddle, since you’re just kind of hanging out there anyway. It’s critical to maintain good body awareness though, so that you don’t overstretch and possibly injure yourself. One of the most common tips is to wear socks when you’re doing the middle splits stretch. This will allow you to gradually slide further and further into the splits; however, you need to be especially careful because you can easily overstretch and potentially injure yourself if you lose control and slide too far. Yoga blocks are inexpensive and very useful (especially for beginners) because they help to extend your reach, help support you and aid with balance when you are doing your stretches. 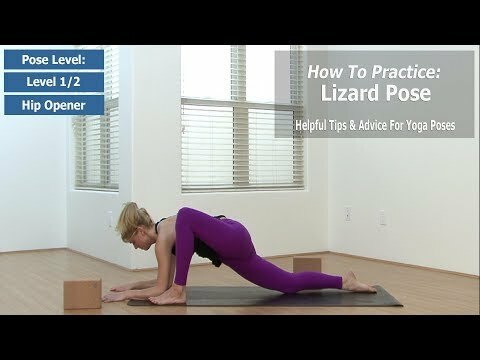 For example, when you can’t do a full split, you can support your weight with a yoga block under the hips, which allows you to still get a good stretch without over stretching. Generally, the more frequently you stretch, the faster you’ll get to your center splits, and by this we mean, how often you stretch per day as well as how often per week. You will probably make excellent progress stretching 3 times a day, 3 – 4 times a week, but not everyone has time to do this. It’s important to know, you’ll get much better results by stretching a little each day, rather than one big stretch session per week. But although frequency is important, so is rest and recovery. When you stretch it’s you can create little microtears in the muscle, which means you should be taking rest and recovery days to ensure these have time to repair. By taking time off, you also give your joints, ligaments and tendons some R&R, and allow your central nervous system to recuperate a bit. Again, like frequency, the more time you spend stretching with each of your training sessions, the faster progress you’ll (probably) make. You want to do each stretch for a minimum of 20 seconds, but you can build up from there to longer. The key is to build up to longer and longer times, when you’re just starting out (and are fairly inflexible) you want to stick to the basic 20 seconds and work your way up over time. Further, some people find that doing multiple rounds of stretching with increasing times can work very well. Example: round one, each stretch 20 seconds; round two, each stretch 40 seconds; round three, each stretch 60 seconds. Many people find that a great time to stretch is after sitting in a hot bath or being in the shower for 10 – 15 minutes. In addition to this, anecdotally, people often report being more flexible in the evening – possibly because they are more relaxed in the evening. Putting these two together then, you may find stretching after a hot bath (or shower), just before bed, the ideal time to make good progress on your splits. Foam rolling has been shown in many studies to increase flexibility, so adding this to your flexibility training is an excellent idea. You can pick up a foam roller relatively inexpensively, so it’s definitely worth looking into. Can everyone do the middle splits? Everyone can do the splits to some degree, but not everyone can achieve the full, touching-the-floor, middle splits. One possibility is due to the specific structure of a persons hip joint: coxa profunda or a deep-seated hip-socket. This pathological hip problem means it will be physically impossible for you to ever achieve the full splits. The only way to know if you have coxa profunda is to get an MRI scan of the area by your doctor. In your day-to-day life, it should manifest as limited hip mobility. Remember, not all physiologies are the same, which is exactly why you need to check with a doctor before doing any strength or flexibility training. How long does it take to do a middle split? Assuming you have the potential for them, the short answer is: it takes as long as it takes. Some people are able to get the middle splits in weeks, other people take months, and still others take years. The time it takes shouldn’t really be a consideration, your main focus should be on improvement. Flexibility is not something you want to rush because you will likely injure yourself, and as a result set your splits progress back by months, years, or worse. Keep your eye on your progress and improvement and forget about the time it takes. Why can’t I get my middle splits? Assuming you are actually able to attain the full middle splits, there are a number of reasons why you may be having difficulty getting to them. How long have you been stretching? People gain flexibility at different rates; it may take you longer (potentially much longer) than someone else to get to the splits. How consistent have you been? If you want to make progress on your flexibility, you need to be consistent. This could mean daily stretching, stretching 2 – 3 times a day, stretching 3 – 4 times a week. The more frequent and consistent you are with your flexibility training the better progress you’ll make. Of course, never stretch if you’re sore from a previous stretching session and remember to take rest and recovery days. What is the direction of your feet? Some people find that the direction of their feet makes a huge difference in their ability to perform the splits. As you can see from the video above, the direction of her feet (and knees) made a huge difference to how far she was able to sink into the splits. If you’re still having difficulties with your splits, take a look at this excellent article which may help you get them down. How do you get your middle splits all the way down? If you’re able to achieve the full middle splits, and you’re close to touching the ground, but can’t quite yet make it, is there anything else you can do? Even though it’s tempting to get there faster, it’s critical that you don’t try to force progress, as this could lead to injury, which would severely delay getting to the full middle splits. In fact, when you’re getting closer to the full middle splits, you may get better results from reducing how frequently you stretch, from daily to every other day. Against the wall stretches, where you slowly push yourself closer to the wall. You can work your way, over weeks (or months) to being flat against the wall. Wall straddle stretches, where you’re flat on your back, letting gravity do the work of bringing your legs down. Some people add a little resistance to this to help get their legs down further. Training for oversplits is also reported as a possible way to get your middle splits down flat. Note, however, that the above are all advanced techniques which should only be attempted (if at all) if you already have developed excellent flexibility and conditioning. Are middle splits harder than front splits? Yes. At least for most people. However, there are always exceptions, some people find doing the front splits harder. For most people though, doing the middle splits is usually significantly harder than doing the front splits. For this reason, it’s sometimes a good idea to get your front splits down first to keep you motivated and give you quicker results. You’ll usually find that you’re more flexible with one leg forward versus the other – e.g. more flexible with the right leg front split than you are with the left leg front split. It should be noted that getting your front splits won’t necessarily help you to get your middle splits. Okay, so you’ve got the middle splits down – piece of cake. Now you want a bigger challenge, what’s next? Waiting for the front splits routine..